With his slightly bemused English accent, narrator Richard Matthews sounds completely at home in the material, chatting knowingly and with perfect dry comic timing. For managing to cover the universe and keep it lively, this experience definitely merits as an all-time favorite. Bill Bryson has been an enormously popular author both for his travel books and for his books on the English language. Now, this beloved comic genius turns his attention to science. Although he doesn't know anything about the subject (at first), he is eager to learn, and takes information that he gets from the world's leading experts and explains it to us in a way that makes it exciting and relevant. Even the most pointy-headed, obscure scientist succumbs to the affable Bryson's good nature, and reveals how he or she figures things out. Showing us how scientists get from observations to ideas and theories is Bryson's aim, and he succeeds brilliantly. 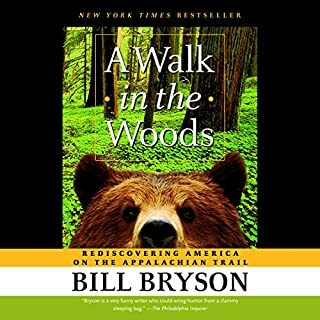 It is an adventure of the mind, as exciting as any of Bryson's terrestrial journeys. ©2003 Bill Bryson (P)2003 Books on Tape, Inc. Published by Arrangement with Random House Audio Publishing Group, A Division of Random House, Inc. The is the one book I wish I could give six stars. I read this once per year and insist my friends read it. My only complaint that it needs to be updated with the latest scientific knowledge available. They should do a 10 year anniversary update. This book does something that few others do. It gives just enough information (without being too much) and makes it absolutely spellbinding. I don't want to know about cosmology, chemistry, and/or physics in minute detail, but I want a conversational knowledge of these and many other things scientific. Bryson provides that in an extremely entertaining, interesting manner. Although it is long, I whole-heartedly recommend the unabridged version. I'm sorry for the folks who bought the abridged version of this title. Opting for Bryson abridged is pointless. His prose is already polished to a pearly economy. 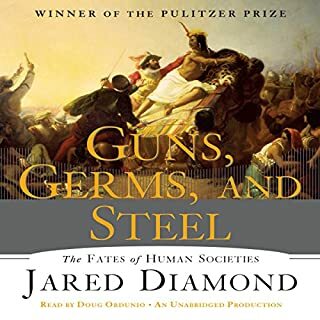 If you can listen to the final 22 minutes of this book without cringing, crying, or resolving to affect change in the way all of us treat this magnificent and mysterious planet; you are a hard, hard case. With disciplined but entertaining prose, Bryson surveys the branches of science that explain who we are and how we got to wherever it is we are. Spectacular! I loved the abridged version so much I just had to get the unabridged version when it became available. The abridged version is a very good abridgement, probably contains enough detail for most, and Bill Bryson's narration of it is the icing on the cake for sure. 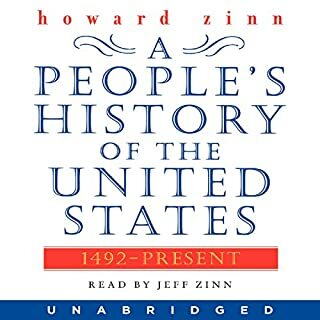 The unabridged version offers a fuller explanation of many points and so exposes the listener to more stories and Bryson wit which is always enjoyable. Richard Matthews does a great job narrating although he's not exactly Bill Bryson, he's sounds a lot like him and is a good second choice. If you can't get enough of Bill Bryson, you're best bet is the unabridged version. You won't get bogged down with unnecessary scientific detail--it's all very enjoyable listening. If you just want to learn about the subject quickly, the abridged version is lots of fun. Forget high school science. Just have your kids enjoy this book. 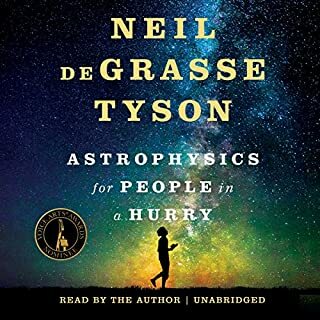 Bryson gives a very understandable and thorough overview of astronomy, physics, chemistry, biology, geology, etc., in an extremely engaging way. It is like hearing your favorite college professor sit down on a table in front of a group of students and weaving a fascinating story. The human interest aspects of the books were a plus to the scientific explanations. Although this is a tremendously enjoyable read for inquisitive adults, share it with your children and they might actually take up an enduring interest in science. This book is certainly far better than all of my high school science courses combined (and probably college too). Highly recommended. 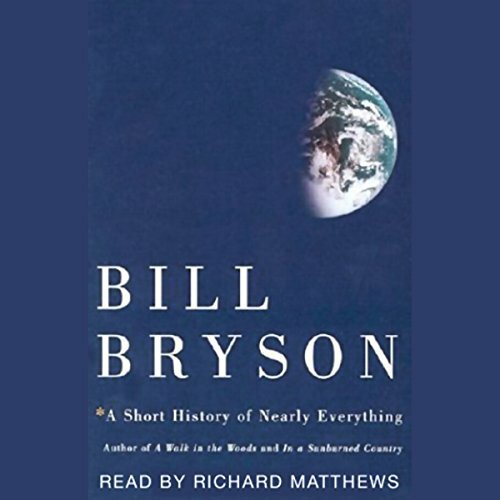 Near the beginning Bryson states that he knew almost nothing about the only world he would ever inhabit. Most people seem to be in pretty much the same state. If you listen to this you will join him in not being quite so ignorant. That's great, but what I like best is that while he presents our best current understanding of how our universe works, he also provides a series of wonderful profiles of the very human men and women who have slowly and painfully (and in some cases arrogantly) built up the framework of what we know -- and upon which we will continue to built our understanding. It is an ode to science and scientists. As far as I am concernerned this should be required readling...or listening! After listening to this book, you will feel like a scientist and think of yourself as understanding our place in the universe like a true intellectual. Bryson just knows how to explain difficult concepts across all of the science disciplines. 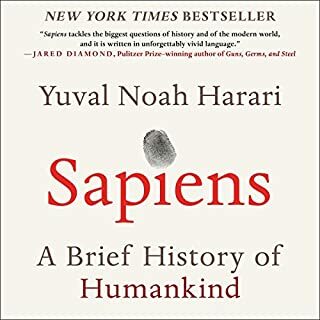 This is a great first book for someone who is interested in reading other science books or just ending their quest with this book. My cheap self was reluctant to get it because of the two credit price, I'm glad I let my spendthrift self take over. The book does more than just talk about the science it also delves into the personalities involved with the great discoveries and illustrates how some of our greatest discoveries came about through the perseverance of smart people. I actually found myself fascinated by stories of stromatolites and geological societies... and i can listen to this over and over again without being bored, which is saying a lot because i usually have the attention span of a squirrel. 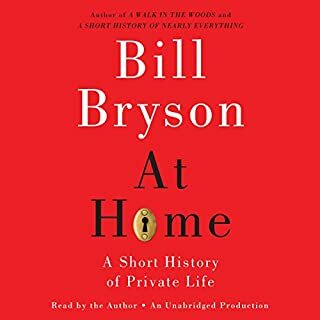 Bill Bryson has given a gift to the world by illuminating important but typically dry information in a fascinating story-like book. I hope he will publish many more books like this, although his travel books are also among my favorites, especially A Walk in the Woods. I am a scientist, and I feel that Bryson has a keen eye for what is important. His book is crammed with wonderful concepts and observations from a remarkable breadth of fields. It is always easy to understand, yet consistently mind-boggling. I personally found the stories of scientists' escapades captivating: it is so healthy to be reminded that science is a human endeavor. These stories of ruthlessness and heartbreak along the path of discovery are exactly the things that elevate this book above textbooks. Also, the narrator does a wonderful job of giving the author's words their intended voice, be it profound, tragic, or comic.